Nature Paradise Resort is scenically situated deluxe resort in Naukuchiya Tal. The hotel provides a rejuvenating staying experience in the well decorated accommodation with magnificent views of Naukuchiatal Lake and the panoramic views in the backdrop. Located near the Bhimtal and other main tourism towns, the resort is best place to relax and stay in the middle of the hills away from crowd. It is manage by world renowned Panoramic Group. 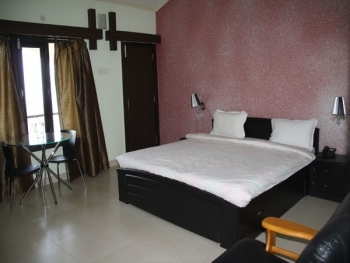 The hotel is located in Jungaliya Gaon Road near Naukuchiyatal Lake at 3 km distance. Delhi is around 350 km from the resort and 9 hrs drive. There are many places to visit nearby like Naukuchiyatal Lake, Mukteshwar, SatTal, Nainital, Almora, Ranikhet, Bhimtal, Haldwani etc. 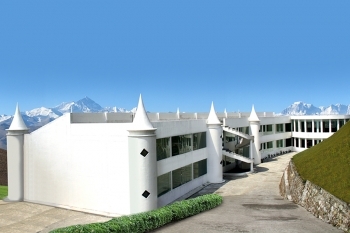 The resort offers 18 rooms having all modern facilities and amenities. All room are categories as 2 Family Suites and 16 Deluxe rooms. Each room has AC, LCD TV, attch bathroom running hot/cold water, tea/coffee maker, room heaters etc. The resort has one of the best multi cuisine restaurant in the town serving varieties of delicious cuisines to treat your taste buds. One can have Indian, Continental and Chinese dishes to suit your pallet. United-21 Nature Paradise Resort near Naukuchiyatal Lake is well connected by motorable road and with Bhimtal, Naintal and other nearby towns. One can hire taxi to reach to the resort from Haldwani or Kathgodam. From Delhi, one can easily reach to the resort via Haldwani and Bhimtal at about 8 hrs drive. Nearest railway station is at Kathgodam (25 km) and airport at Delhi (316 km).